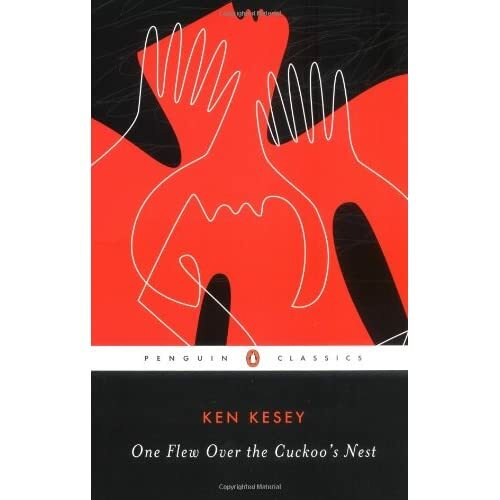 Description from Amazon: Boisterous, ribald, and ultimately shattering, Ken Kesey’s One Flew Over the Cuckoo’s Nest is the seminal novel of the 1960s that has left an indelible mark on the literature of our time. Here is the unforgettable story of a mental ward and its inhabitants, especially the tyrannical Big Nurse Ratched and Randle Patrick McMurphy, the brawling, fun-loving new inmate who resolves to oppose her. We see the struggle through the eyes of Chief Bromden, the seemingly mute half-Indian patient who witnesses and understands McMurphy’s heroic attempt to do battle with the awesome powers that keep them all imprisoned.